The Trick is to hack the Twitter iframe widget that can be embed anywhere. And add some Jquery to hide and style some elements. That’s it. We are done for now. This is only a simple trick to reproduce iframe widget and is not the correct way. 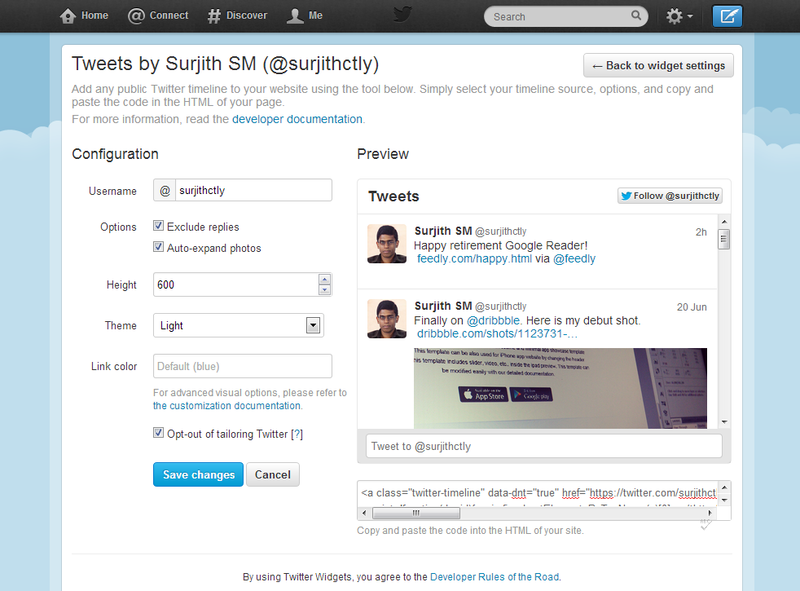 Create New Twitter Widget. Link : https://twitter.com/settings/widgets and copy the Embed code. Add it in your HTML where you want to display. Add the below Jquery just above the closing of body tag and customize for your needs. And you’re done. You can also download the Full Source code or See a Live demo on left side.